These classic trains run May-October, following the Osceola & St. Croix Valley Railway tracks to nearby Marine and Dresser on 90-minute excursions. It’s a beautiful ride through the St. Croix River valley, and the Depot is pretty cool, too. 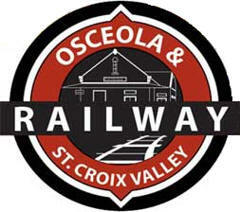 You’ll find the train and its station in Osceola just off Highway 35, across the tracks from the very brief Highway 243.